ICD-10-CM has touched every physician practice. 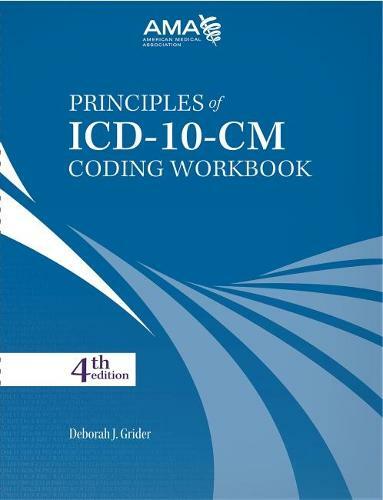 Principles of ICD-10-CM Coding Workbook will make coding easier. Written for all health care professionals whose work involves diagnosing a patient, coding or selecting a diagnosis code for patient encounters, this workbook provides practical experience using real-life coding case studies rather than simple diagnosis statements. It can be used as an independent study training tool or for formal school programs. Each chapter begins with a brief introduction, followed by the exercises and case studies corresponding to each chapter in the ICD-10-CM codebook. Coding students, educators, professional coders and instructors, third-party payers, physicians, health care management consultants, office managers and practice administrators.